Ah, technology—you can love it or hate it, but it’s here to stay. In fact, it has infiltrated pretty much all aspects of life now, and as it reaches into every corner of our world, it also provides us with some pretty neat tools to make our homes and our lives more comfortable and more fun. Take the Nest, for example. Google loves this little home thermostat so much, it bought the company for $3.2 billion. The Nest Learning Thermostat is not only attractive, it’s smart—it can learn your preferences, and your daily schedule, and adjust the temperature in your home accordingly. “It keeps you comfortable and saves energy,” according to the website, which saves you money too. In addition, Nest makes a combination smoke detector and CO alarm that talks to you when it needs a new battery instead of just shrieking wildly at 3 o’clock in the morning. Now that is innovation. On the entertainment front, Chromecast made a big splash over the holiday season. It was a bestseller in the Computers and Accessories category on Amazon (beating Apple TV and the Roku handily). For about $35, this little plugin device can stream nearly any content from the web straight to your TV. No more hunching over your laptop to bingewatch “Orange Is the New Black” or the latest YouTube sensation: simply stream it to your HDTV and enjoy it in comfort. If you’re in the mood to splurge and you are looking for a way to declutter your home, the new ScanSnap Evernote Edition wireless scanner can take every loose piece of paper you have lying around—from receipts to photos—and scan, sense, and sort them into your Evernote app. Clear off the desk, empty the kitchen junk drawer, and find your stored info quickly and easy through Evernote. There’s no time like the present to embrace technology and all it can do to make your life easier and more comfortable (and maybe even save you some money too). Who knows what the next wave of home enhancements will bring? 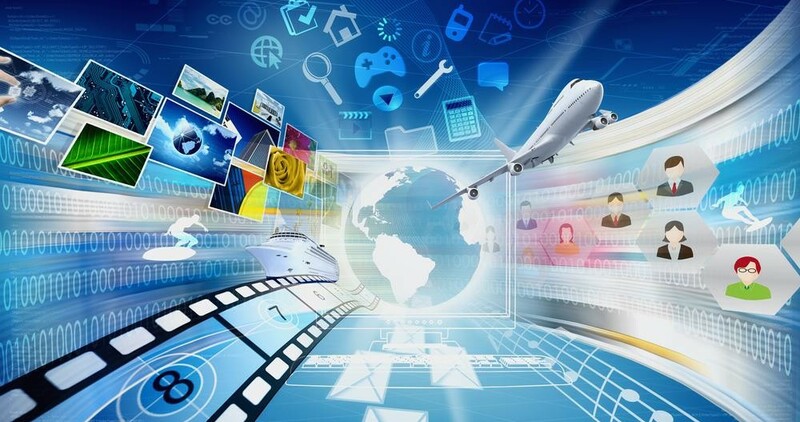 We can’t be sure, but it’s a safe bet that Wi-Fi enabled sprinklers, smart fridges, and wireless home security will be available to everyone soon! Categories: Buying, Real Estate Advice, Selling | Tags: Amazing Honolulu Hawaii Homes, Chromecast, Ewa Beach Real Estate, Kapolei Real Estate, Oahu, real-estate, Ryan Riggins RA, Saves Energy, ScanSnap, Technology | Permalink. Sellers: Disclose Before You Close! It’s a few pieces of paper that can save you a lot of trouble down the road. It’s called the seller disclosure form, and it’s one of the most important things you, as a seller, will fill out in your home sale. 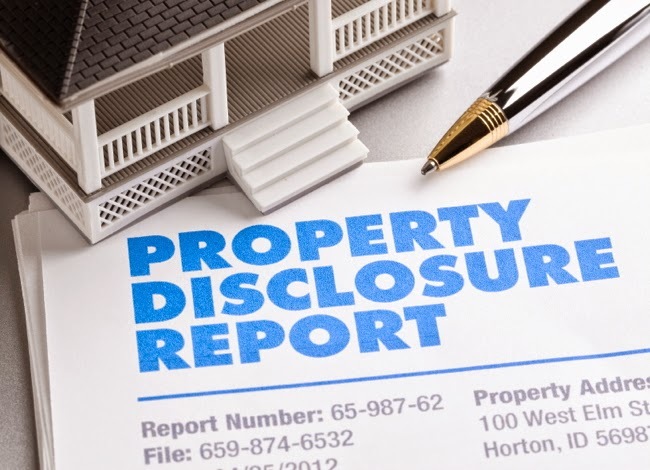 So what is a seller disclosure? It’s a form that outlines any conditions that might affect your property’s livability or value. Items a seller would disclose to potential buyers include termites, radon or other environmental issues, foundation problems and broken home systems or appliances. Disclosure laws vary from state to state, and your real estate agent should be aware of what’s required in yours. Sellers who do not disclose major issues – let’s say a broken HVAC system, leaking pipes or mold growing in the basement – could be on the hook for paying to fix the problems or wind up in court, even after closing. Marketing a home “as is” or claiming you didn’t know about certain problems doesn’t save you from the responsibility of completing a full and honest disclosure. Most buyers will likely hire a home inspector during their home purchase to catch these types of issues, but if you’re aware of major repairs and problems ahead of time, it’s better to be safe than sorry and disclose what you know. It will save you time, money and (quite possibly) the entire transaction if you’re upfront with potential buyers. Categories: Buying, Real Estate Advice, Selling | Tags: 808, 808 Oahu Realtor, 96706, 96707, 96789, Amazing Honolulu Hawaii Homes, Armando, buyers, buying a home, hawaii, Hawaii Life, HGTV, HiLife, housing finance agency, Kapolei, Loan Modafications, looking to sell, Mililani, Mortgage, Oahu, packing, real estate tips, real-estate, realtor.com, refinance, Rehabbing, rehabs, REO, Retired, retired arm forces, retired military, Ryan riggins, Ryan Riggins RA, selling, selling a home, Short sales, sold, Staging your home, zillow.com | Permalink. Light is more than just a means to see the page you’re reading or the partner you’re snuggling. It can set a mood and tone for any room in your home, and even your outside areas. From the warm glow of candles to natural sunlight to bright halogen floodlights, you can send a message, change the appearance of a space, alter your own mood, and set the tone of your day or night with just the right kind of lighting. Going Au Natural: Relying on natural light will of course save you on energy costs. If you’ve got a room with southern or southwestern exposure that enjoys sunlight all day, maximize the natural light for a beautiful glow. Plus the vitamin D is great for your mood! To maximize the natural light you receive, use light-colored paint on the walls and light furniture to reflect the sunshine. Strategically placed mirrors will also get the light into the furthest corners. Cotton and linen curtains will give the room a lighter feel than heavy velvet or dark colored damask. If you must have heavy window treatments to keep out the cold or extreme summer heat, make sure you can tie or push them back to let the most light in when you want it. 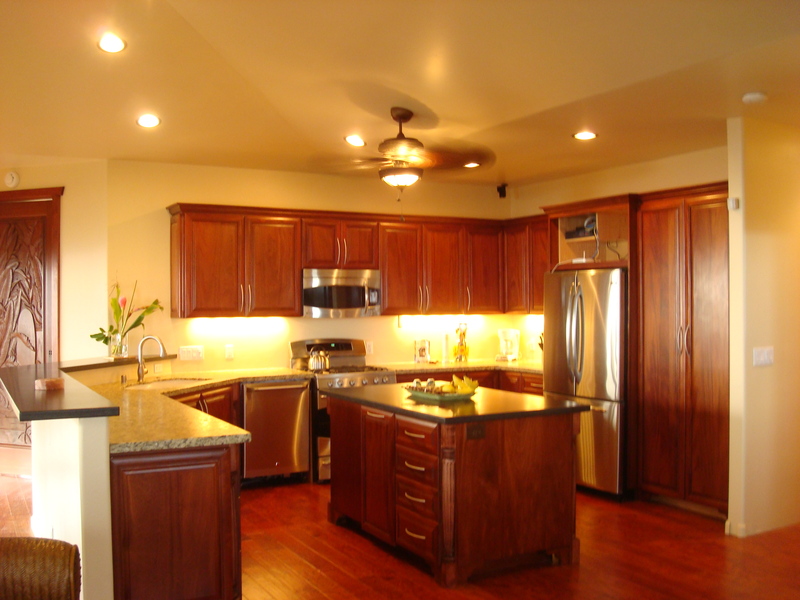 Lighting Choices: Ambient lighting is generally a low lighting level that comes from overhead fixtures. The light they produce bounces off surfaces around the room and creates an ambience that is very different from that created by task lighting. Recessed lights, sconces, and chandeliers are examples of fixtures that produce ambient lighting, which is soft and inviting (and often romantic!). Your table lamp and directed lighting fixtures like those fitted under cabinets generally create a brighter, focused light. Nearly all light bulbs are LED these days, which are up to 99% more efficient than the old incandescent bulbs that are being slowly phased out of circulation. LEDs can now be found in different colors that can temper the overly bright glow some people feel they produce. Try a blue-toned bulb for a softer light. Lighting Up Outdoors: Perhaps you already have perimeter or security lights, but if you entertain outdoors in the evening, you will want to soften your outdoor light and set a mood on your patio or porch just as you do inside your home. Tiki lights can be fun, and some have special oils that help keep away insects, but they aren’t great if you really need to see what you’re doing, as when you’re grilling or trying to cut food on a plate. Hanging lanterns can provide a more directional light that is still soft. LED and solar lights will save you money when lighting the great outdoors. Candles are a lovely choice for setting a more intimate mood and can be combined with lanterns or even fluorescent lights, which tend to appear less harsh outdoors. There are so many options when it comes to selecting lighting. It’s really up to you: the mood you want to set and the price you’re willing to pay will guide you in illuminating your living spaces in the best manner. Categories: Buying, Real Estate Advice, Selling | Tags: 808 Oahu Realtor, Amazing Honolulu Hawaii Homes, Ewa Beach Real Estate, Hawaii Real Estate, Kapolei Real Estate, LEDs, Lighting, Oahu, Ryan riggins, Ryan Riggins RA, Staging your home | Permalink. It may be a seller’s market again, but you still want to move your home quickly and get the best price for your property. Here are some tips that will make selling your home faster, less stressful, and more profitable. 1. Choose the right real estate agent. It’s important to hire a professional that knows just how to showcase your home to its best advantage. Get referrals from friends and family, and set up interviews with agents you think you can work best with. 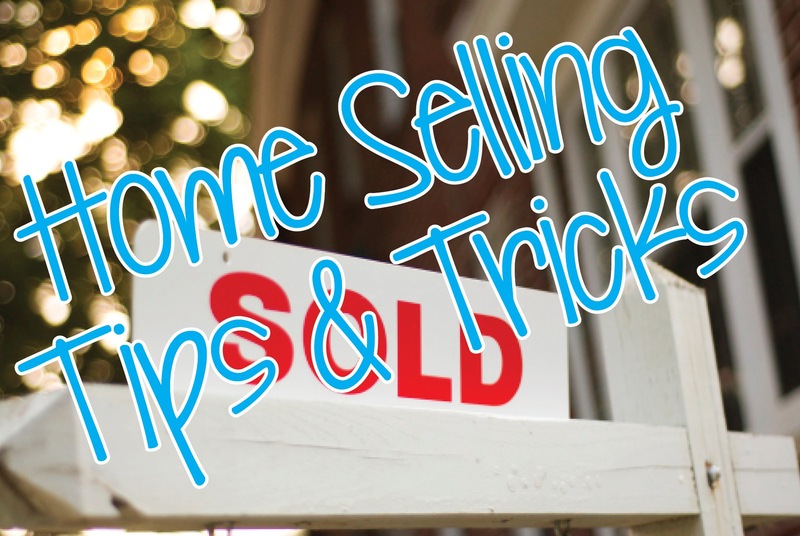 Be sure to ask about MLS listings, setting up mobile advertising, and open houses. You’ll be working closely with the agent and relying on them to help you set pricing and draw up your contract; don’t just take the first person that comes along. The right agent will even be able to assist you with the other tips on this list. Remember, real estate agents are experts at buying and selling homes, and they are on your side: They want you to sell your home quickly and for a great price, because, after all, that is their business. 2. Create an amazing first impression. This means cleaning, clearing, and de-cluttering. Your home needs to be almost a blank canvas upon which the buyers can project themselves and their possessions. Strive to make your home look as much like a model home as you can. From the driveway to the basement, your property needs to be neat and tidy, personal items should be stowed away, rooms should be bright and cheerful, and you should do all you can to make each space look large and inviting. 3. Make some minor tweaks. If your home needs a little help to look its best, select quick and inexpensive updates that will give you the most bang for your buck. A coat of neutral paint, professionally cleaned carpets, and a new dishwasher or even new drawer pulls can make a huge difference to a buyer on the fence. 4. Get a home inspection. This one is a bit unusual, but it could save you some heartache in the end. Your buyers will almost certainly insist on an inspection, so instead of getting blindsided by dry rot in support-bearing beams or electricity that’s not up to code, you can know what’s coming, choose what you wish to address, and price accordingly. While many factors are on the side of the seller in today’s market — including low inventories in many desirable neighborhoods and slowly rising mortgage interest rates — it’s still in your best interest to put some effort into getting your home into the best shape for showings that you possibly can. Categories: Real Estate Advice, Selling | Tags: 808, 808 Oahu Realtor, 96701, 96706, 96707, 96789, ewa beach, Hawaii Life, HiLife, Home selling tips, how to get my house sold, Kapolei, looking to sell, Mililani, Oahu, realtor.com, Royle Kunia, Ryan riggins, Ryan Riggins RA, Short Sale, sold, time to sell, value of my home, whats my home worth, zillow.com | Permalink.